Two years ago Subaru introduced an all-new global platform underpinning the next-generation Impreza. Since then the Japanese automaker added the brand-new Crosstrek, all-new Forester and brand-new Ascent to the lineup, and all three take advantage of the shared infrastructure. 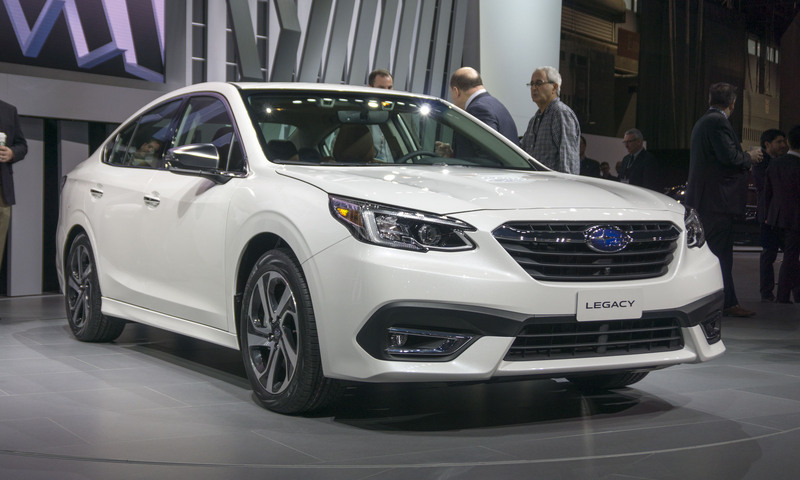 This year in Chicago Subaru unveiled the next new model to adopt the automaker’s global platform: the all-new 2020 Subaru Legacy. Based on the dynamic driving improvements of the previous models, the new platform should transform Subaru’s stalwart sedan into the best-driving Legacy yet. The new platform has been optimized for the Legacy, giving the midsize sedan a structure considerably stiffer than the previous generation. 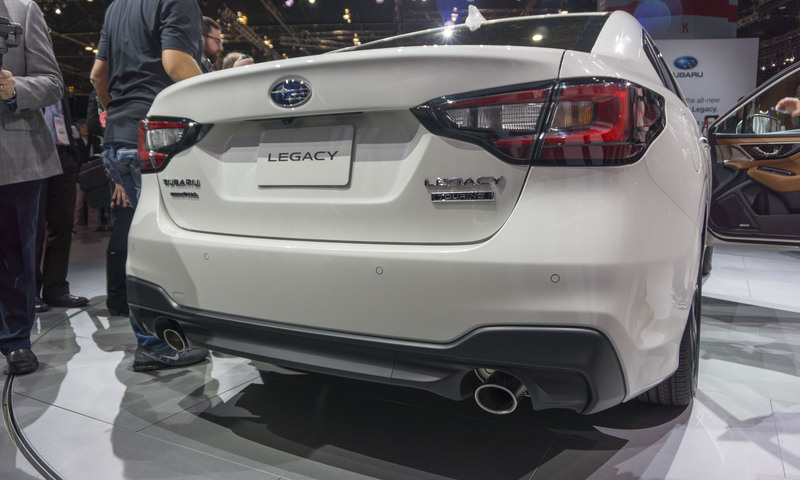 The 2020 Legacy also receives a lighter yet stronger suspension. The new system — combined with a lower center of gravity and a more rigid body — should deliver improved steering response, better handling and a smoother, quieter ride. The new body structure of the 2020 Subaru Legacy is designed to absorb over 40 percent more energy in front and side crashes than the current model. The Legacy has been rated as an IIHS Top Safety Pick + for the last several years, and Subaru anticipates the rating will be maintained in the new model. 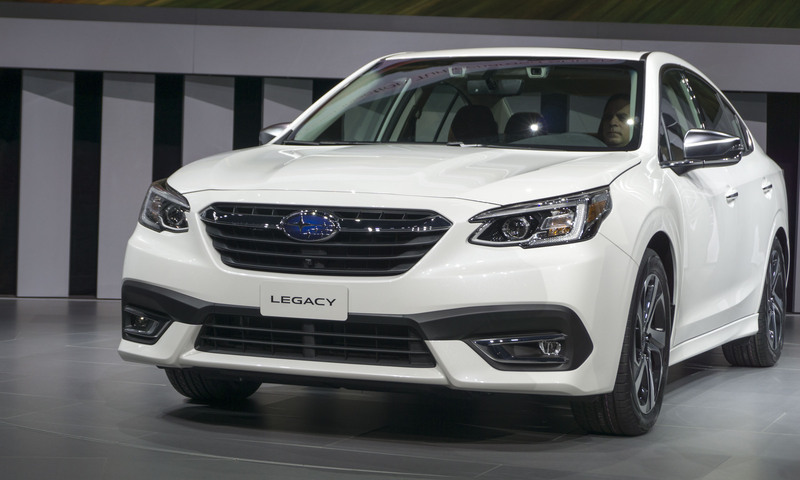 Like other models in the Subaru lineup (except BRZ), the new Legacy comes with Subaru’s Symmetrical All-Wheel Drive system as standard equipment, as well as active torque vectoring for better handling. Also standard is Subaru’s EyeSight driver-assistance system that provides automatic emergency braking, adaptive cruise control as well as lane departure warning. Additional available driver-assist technologies include steering-responsive LED headlights (in Limited and Touring trims), reverse automatic braking and blind-spot detection with lane-change assist and rear cross-traffic alert. The new Legacy also features a lane-centering function that applies steering to keep the vehicle in its lane. 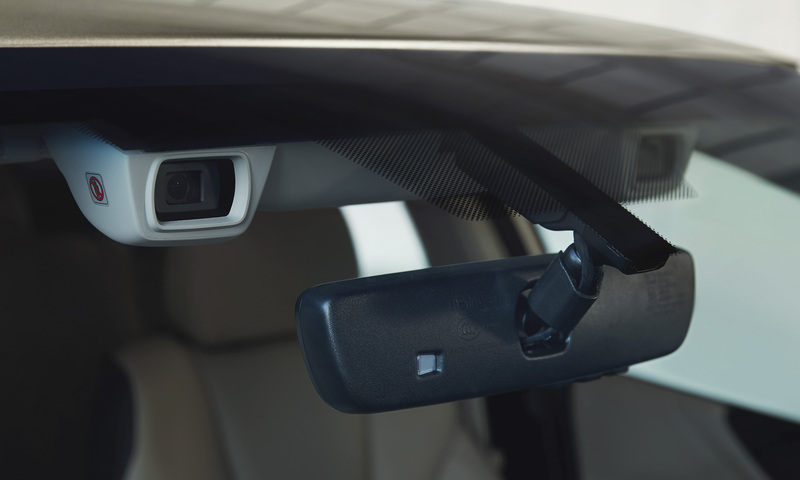 Also new is the DriverFocus distraction-mitigation system that uses a dedicated camera and facial recognition software to identify signs of driver fatigue or distraction, and provides a warning if detected. Although the 2020 Legacy is completely new under the skin, the exterior design appears more evolutionary than revolutionary. 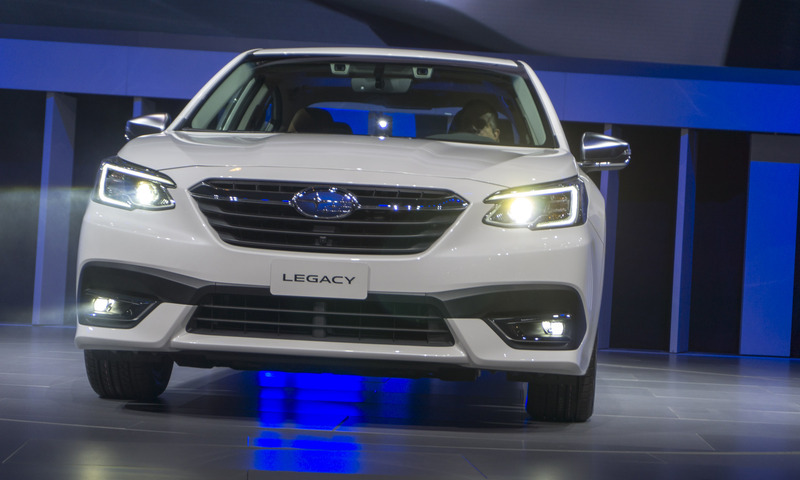 The frameless hexagonal grille matches styling in the rest of the Subaru lineup, and narrow headlights give the Legacy a wide stance. Side mirrors have been redesigned for better aerodynamics, which should generate less wind noise. 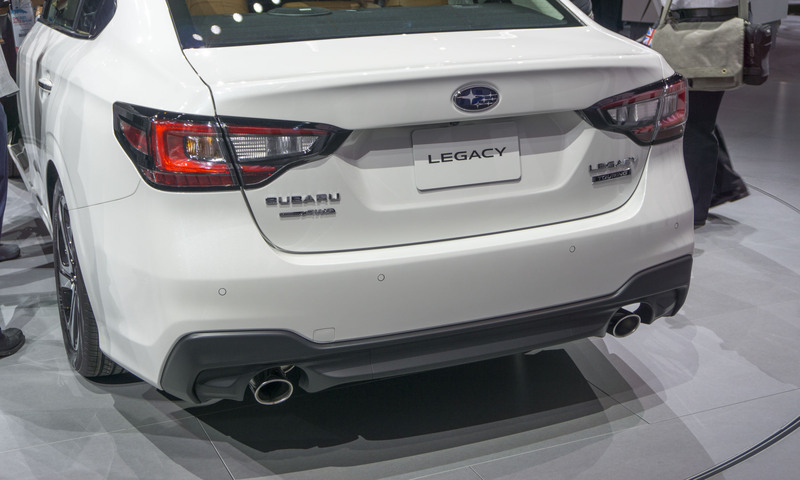 The Legacy Sport trim differentiates itself from the lineup with a unique rear bumper, a high-gloss black bar in the grille, black side mirrors, a trunklid spoiler and dark-metallic 18-inch alloy wheels. The more luxurious Touring trim features chrome plating on door handles as well as satin-tone plated side mirrors. One standout feature on this new Legacy is a large 11.6-inch vertical high-definition touchscreen display. Standard on Premium, Sport and Limited trims, the new integrated screen features direct access to climate controls, multimedia and other vehicle controls. The easy-to-read icons can be arranged based on drive preference, and it’s nice to see hard knobs for volume and tuning remain for the audio system. 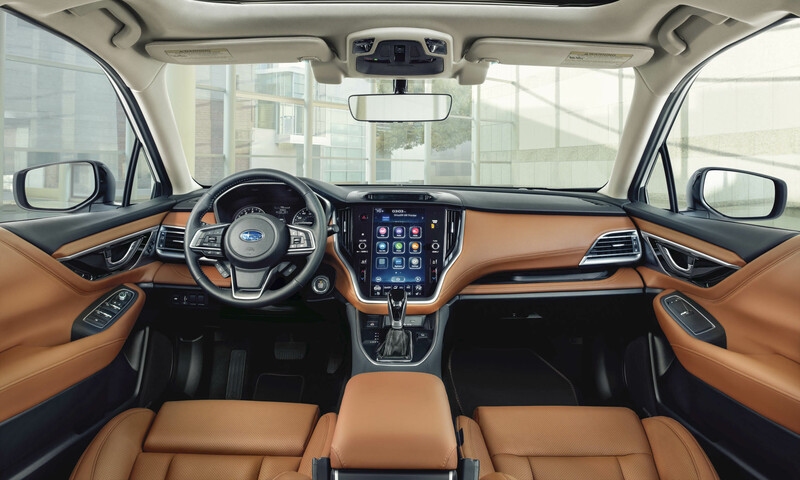 In the 2020 Subaru Legacy a nav system is now standard on the top-level Touring trim and optional on other trims. 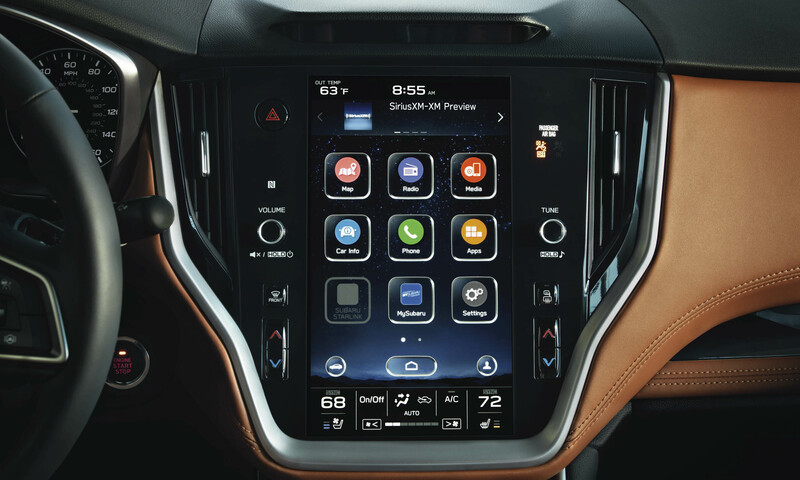 With so much real estate provided by the huge center touchscreen display, it can be configured as a split-screen to show both navigation and audio, for example. Apple CarPlay and Android Auto are available, and Subaru is offering a Wi-Fi hotspot in the new Legacy for the first time. The new Legacy also has four USB ports — two in front, two in the rear. 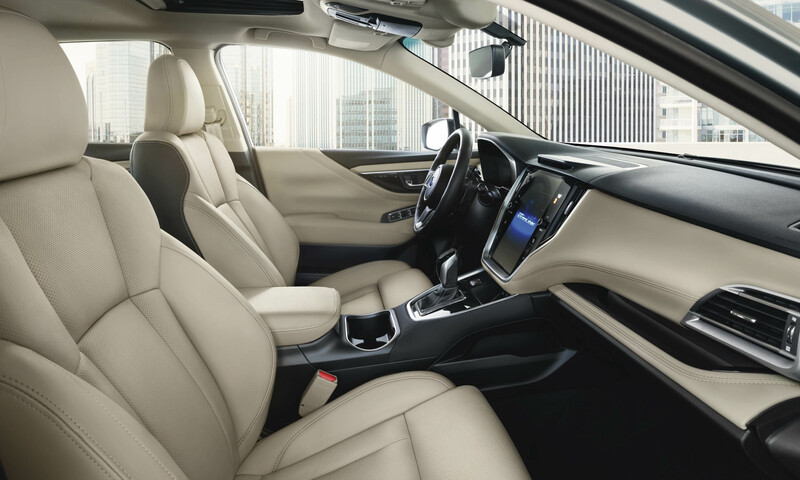 Legacy is available with 10-way power front seats with lumbar support as well as heated front and rear seats. Seat heaters now have three levels of adjustment and now warm the seat bottom as well as the back. Touring trims also get ventilated seats and a heated steering wheel. Thicker window glass as well as other improvements have made the cabin almost 3 dB quieter at highway speeds than the previous-generation. The new Legacy offers two powertrain choices, and for the first time since 2012 one engine is turbocharged. Powering the new XT trims is a 2.4-liter direct-injection turbocharged 4-cylinder Boxer engine that produces 260 horsepower and 277 lb-ft of torque. All other trims will feature the 2.5-liter engine that debuted in the new Forester, producing 182 horsepower and 176 lb-ft of torque. 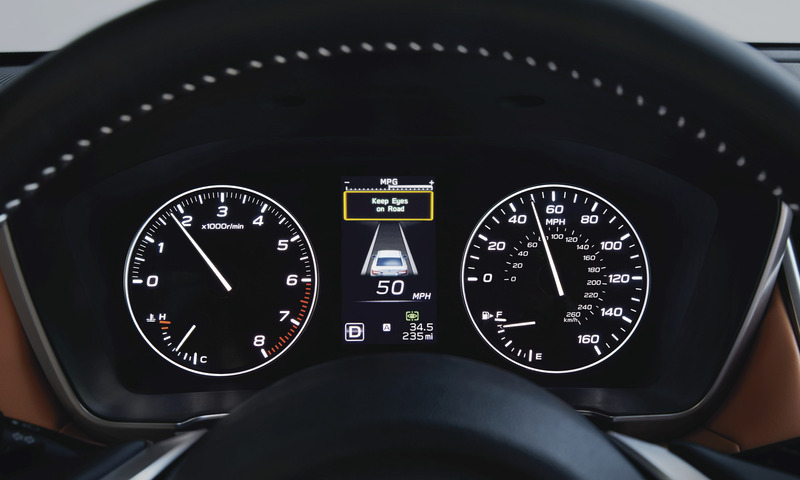 Both engines in the 2020 Legacy are teamed with Subaru’s Lineartronic continuously variable transmission — the only transmission offered. The CVT has been improved for the 2020 model year, featuring a hydraulic system with a lower viscosity oil that reduces horsepower loss by 32 percent. Subaru estimates the turbocharged engine will deliver 24 mpg city and 32 mpg highway, while the non-turbo powerplant should achieve 27 mpg city / 35 mpg highway. 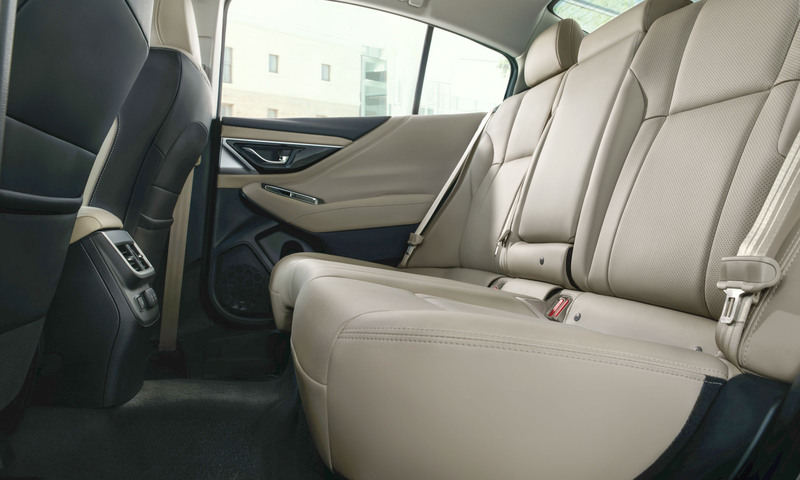 The cabin of the new Legacy offers a bit more space than previous models for added comfort. Shoulder room has been increased in front, while rear-seat passengers will enjoy additional hip room and legroom. The trunk also has 1.4 inches of additional floor length. Subaru says there’s space for up to four full-size roller bags. 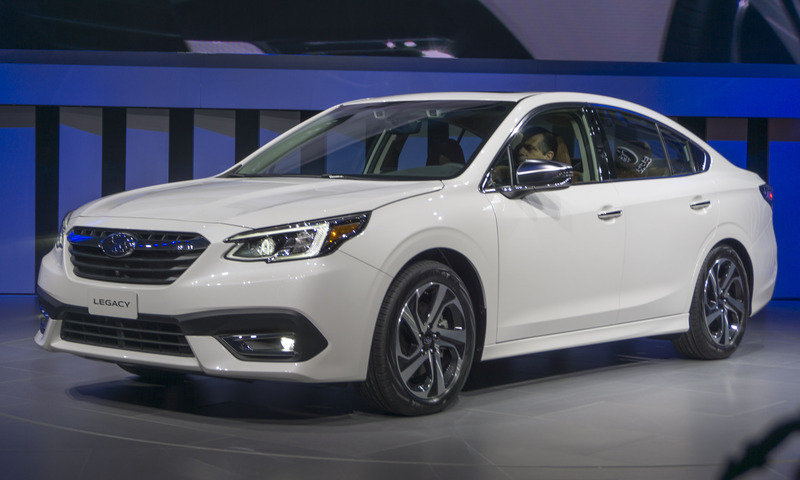 When it goes on sale later this year, the 2020 Subaru Legacy will be available in Base, Premium, Sport, Limited, Limited XT and Touring XT trim levels. Pricing will be announced closer to the on-sale date. 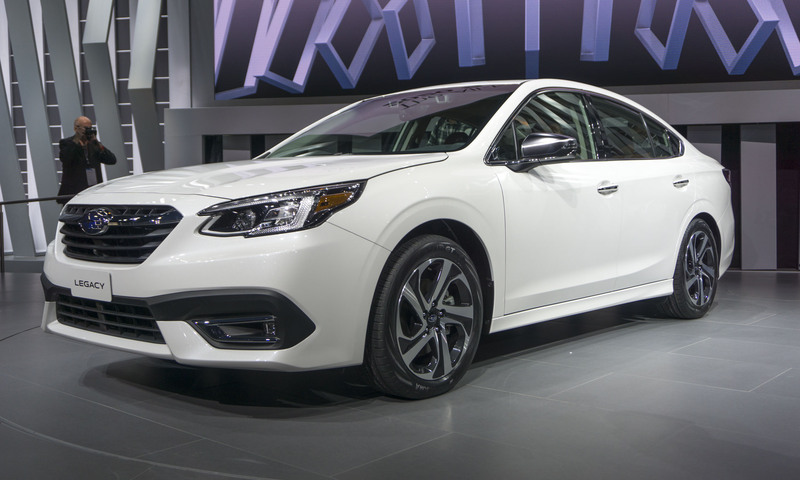 The post 2019 Chicago Auto Show: 2020 Subaru Legacy appeared first on autoNXT.net.